It’s been a big week for Keanu Reeve’s announcing that Bill and Ted 3 is official but now he is kicking it up to twelve (yeah, take that Spinal Tap) in the latest and the first trailer for the new John Wick film. Set photos for the new John Wick have been slowly released for months now (we were a little concerned with the one of him on a horse given his track record with animals) but the latest trailer is our first real look. Picking up right after the previous chapter (much like the last film) this is all spoiler territory from here. 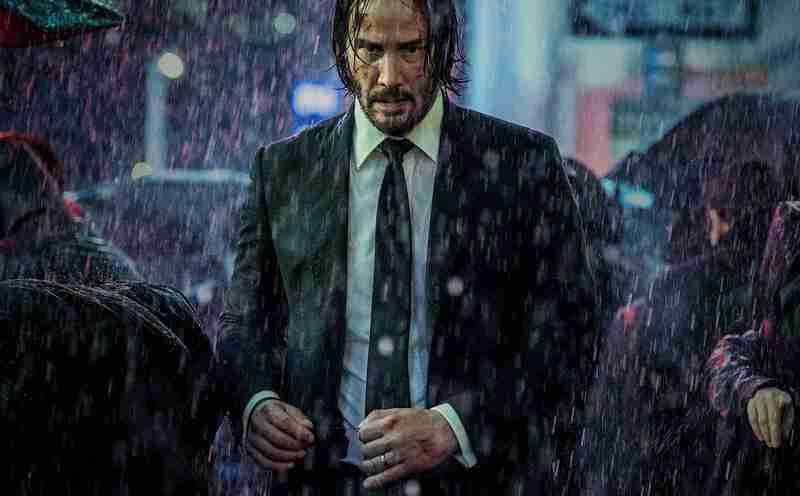 If you haven’t seen John Wick Chapter One and Two then your weekend plans are sorted. If not we already know that John has been excommunicado from the order of Assassins from the events of the previous film. On the run with EVERYBODY after him, the latest trailer gives us everything we want from a John Wick film – easy on the story, brief glimpses into the Assassins world and a small armoury worth of action. Only 2 months away from release, you can watch the full trailer below. We aren’t sure if this is the final chapter in the John Wick story (we hope not) but even if it is there are still plans for a TV series set in The Continental, the Hotel for Assassins, in the works. Check out the trailer and make sure you drop by the comments section to tell us what you think. Are you hyped for John Wick Chapter 3? Will you be tuning in for ‘The Continental’?Do you think the Horse from earlier set pictures was actually 2 assassins in a Horse Suit? Let us know down below.